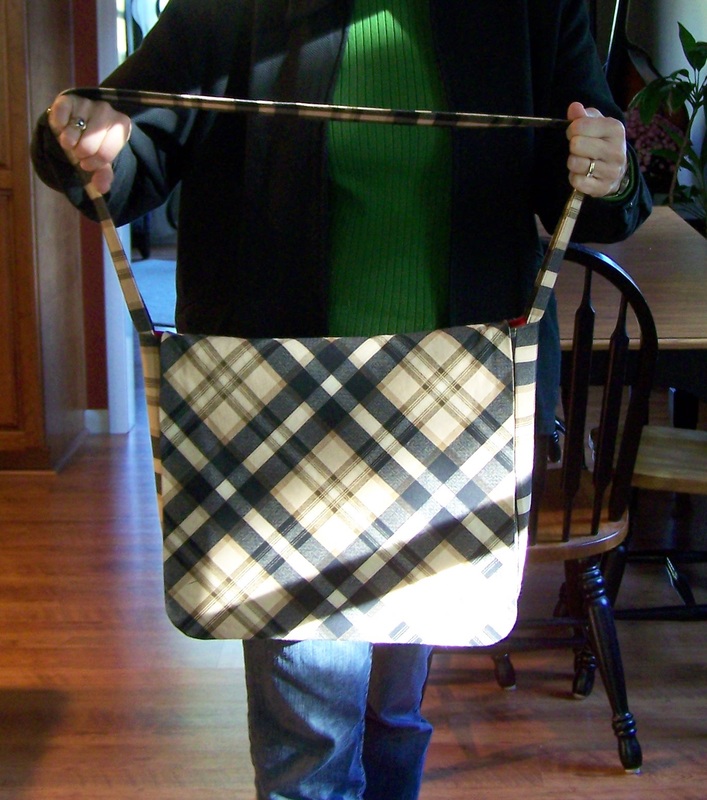 I love fall….love plaid…and decided I needed a bag that could carry all my stuff AND my bigger knitting projects. (Weekend football games demand some knitting in hand.) So, I decided to sew myself a messenger bag! The pattern is a See and Sew B4583. I used a canvas for the outside and red wool from my stash for the inside. And me in all my glory? Yes, that is a piece of tape on my leg. I picked that up at work. Thankfully I didn’t stop anywhere on the way home! Looking at this photo, hair pulled back in a pony, WHO DO I THINK I AM? I am a 47-year-old woman with no fashion sense carrying a plaid messenger bag. I need help. How adorable! I am also a big fan of plaid for the autumn, and this looks great. You are a knitter who created an awesome bag is who you are! You have a blog award awaiting you over at my blog. I love plaid (I love that word, but we say tartan), I laughed over your pony tail, I’m 54 and I had a pony tail at work last week, I felt so old but it kept the hair off my face and I haven’t yet decided how to cut and style it (the hair) yet, so there’ll be more pony tails to come. At least I’m old enough to just do it and not worry how it looks. Sure. LOL. 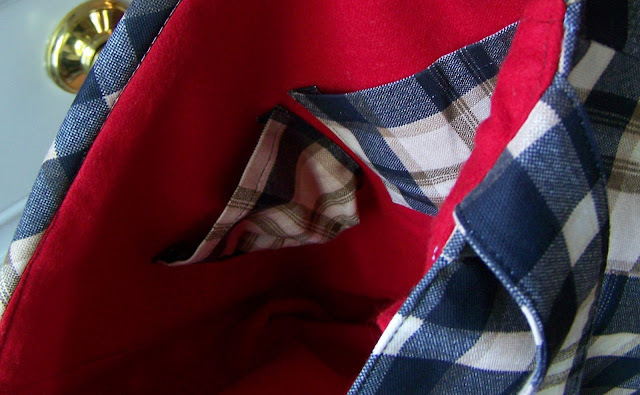 OK – I love that plaid… it seems perfect for that shape! !